Costume Direct is the one stop shop for amazing Christmas Accessories! These Christmas Accessories all come with fast shipping from Sydney, Australia. Add the final touch of festivity to your Christmas costume this December with the help of Costume Direct! From Candy Cane suspenders to holiday ties, we have the perfect accessories to allow you to put in minimal effort, without being labelled a 'Scrooge', at your next Christmas party! Complete your Santa costume with a big tummy, a belt and a fluffy white beard! Add some adorably festive shoes to your Elf costume! Don a Christmas tree hat and jingle all the way to December the 25th! Or opt for the traditional Santa hat and prove to everyone you truly can get into the Christmas spirit! Explore CostumeDirect.com.au and be entranced by our range of Christmas accessories! 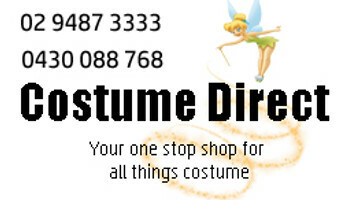 There is something for everyone at Costume Direct!